Driving up S. 112th St., if you see the cross you’re almost there! 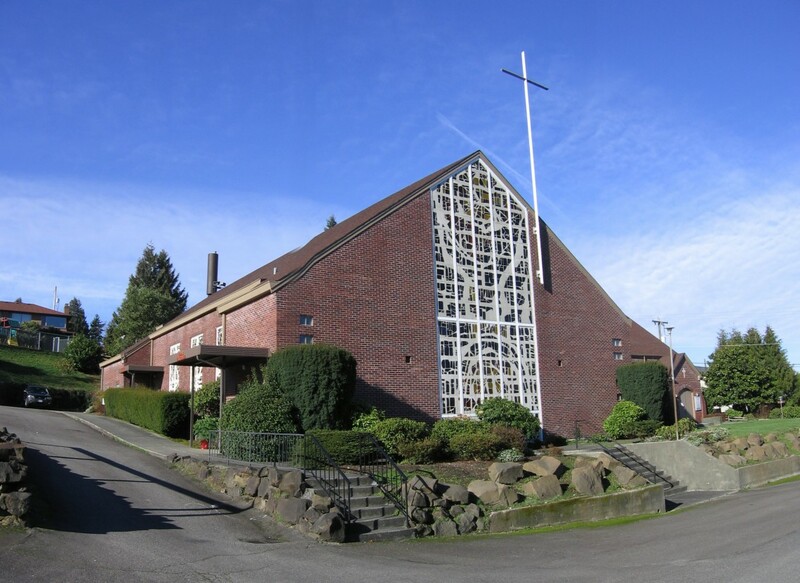 Lakeridge Lutheran is located off Rainier Ave. S., overlooking Lake Washington. Lakeridge Dr. at Rainier Avenue is marked by two large “Lakeridge” signs and bright yellow “pedestrian crosswalk” street signs. From Rainier Ave., follow Lakeridge Dr. up the hill, left on 80th Ave. S. one block and right on S. 112th St. Look for green directional street signs along the way. The church’s parking lot is off 76th Ave. S. Street parking is also available. This parking lot leads to the church sanctuary’s two main entrances. The church office is located behind the sanctuary building. If you’re not familiar with the neighborhood we strongly recommend Google Maps, Mapquest or GPS!